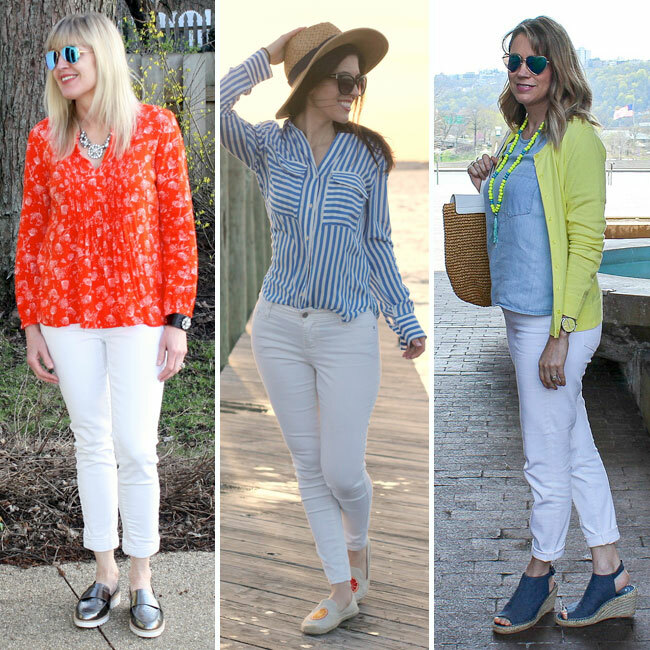 I'm excited today to be joining a few of my blogging friends to show how we style white pants for spring. I am a breaker of rules and wear my white jeans year round but with the arrival of spring, I'll be wearing them even more. 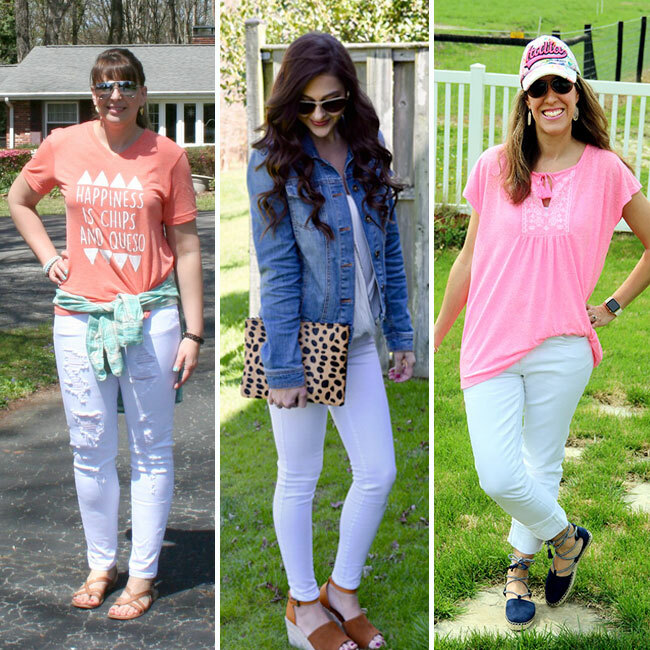 I hope you will stop by all of these lovelies blogs to see how they styled their white pants and also link-up with us below! I'm trying to wear my fall tops at least one more time before summer. This ON top was a fall favorite with it's boho vibe and orange print and it still works for spring! It's sold out but ON has some cute spring options that I've linked up below. Melissa from Mom with Style is our co-host this week. My pick this week is Vaishali's pleated sundress! Check our her blog, Vivacious Wish to see more of this look! SaveSave Thank you for reading!